The manufacturing industry is under immense pressure. Globalisation and increased competition, coupled with a more demanding consumer base, force manufacturers to seek new ways to boost the bottom line. How often have you looked at corrective actions and thought that they would have little, if any impact in preventing the problem from reoccurring? It wasn’t just once…. and it continues to happen. Y et the answer is not a simple or straight forward one. Do we believe that the person(s) creating these corrective actions aren’t trying to do their best? No, I don’t think so. I firmly believe that almost all people are trying to do their best. So where does that leave us? I think that we are caught up in a system where the reactive, quick fixes are the goal, the way of dealing with incidents on a day to day basis. 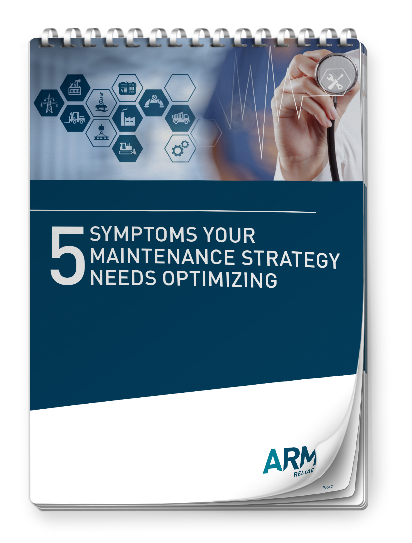 If you were to have a downtime incident and you were to bring the power back on quickly after an outage, or the machine is back in operation after a short space of time, then the reaction from the management group and from all of your peers is typically….”Well done! Great job!” A pat on the back for those who have performed the job well. In other words we give respect and accolades to those who can fix it quickly. Conversely there is often little reward or acknowledgement for hours of diligent work in the pursuit of actions that will resolve the issue once and for all. We reinforce the quick fixes. Now don’t get me wrong here because the ability to do the quick fix is and always will be a valuable skill, but the real challenge is to understand whether we have prevented the problem form reoccurring? From my conversations with people who attend the courses that I present covering the Apollo Root Cause Analysis methodology, something else becomes blatantly clear. We still seem, on many different levels, to be playing the “blame game”. The question of “who” still seems to be of paramount importance to some, perhaps many people. The question I would put forward to these people is “Will knowing who did it, stop it from happening again?” Now to my way of thinking by far the most common answer to this question will be “No”(although there are exceptions). So why do we feel that we need to focus on the “who”? If the goal of doing Root Cause Analysis is to prevent recurrence of the problem the challenge lies not so much in who was involved but rather emphasising, or focusing, on what you can do to stop it from happening again. This focus will lead to gathering more factual information which is the essence of understanding the problem first and foremost. The “who” side of the question is pretty easy to determine, but if that is what we focus on then it is likely to limit thorough questioning, and leads quickly and easily down a blame path. Sanctions are given or jobs lost, all based on the knowledge of “who” was at fault. But where does this lead? Wouldn’t this lead to a lack of reporting mistakes or faults as there will be unwanted consequences because of the report? Doesn’t it elevate risk as there would now be a culture of hiding or covering up mistakes? When you ask questions, what are likely to get? The truth? Something else to consider is whether people intend to cause damage, create failures, injure themselves or hurt others? Again the overwhelming answer is still “NO”. That people are often involved in many incidents, and make mistakes, is seemingly the constant part of the equation. But that is the nature of the beast. People are fallible, they do make mistakes and no matter how hard we try to control this aspect, the “human error” side of causes, it is forever doomed to failure. If we rely on trying to control people then our solutions will have no certainty in their outcome. Going down this path is simply not reliable. This is echoed in the concept of the “Hierarchy of control” where corrective actions are placed within the Hierarchy, as being either a form of Elimination, Substitution, Engineering, Administrative or P.P.E. controls. The first three of these are perceived to be very strong controls, or hard controls, with almost guaranteed, reliable, consistent results. They are however more time consuming and typically involve spending money to achieve your desired outcome. Administrative controls or the use of PPE as a form of control are perceived to be soft controls. They are relatively quick to implement and don’t cost too much and yet if you were to ask the question “will they prevent recurrence”, almost universally the response will be “NO”! They may however satisfy the need to report. I have “ticked the box” and created a perception of having done something about the incident. To take this a step further these “soft options”, now get signed off by management who are fully cognisant of the “Hierarchy of control”. If we keep taking the soft options however is it any wonder that we are still “fire fighting”. If we don’t fundamentally change or control causes that create the problem then the problem still has an ability to happen again, regardless of the “who”, the person involved. This could be anyone. How often have you heard or seen, as a response to a problem …….”create another procedure”? Would you be certain that this will prevent recurrence of the problem? It could be said that you have tried to control the problem. You can certainly show that you have done something. Would it however be defensible in a court of law if someone were to subsequently get hurt? If you expect someone to remember every single procedure, of every single task, of the many tasks that they need to perform in every single day, is this feasible? And we all know it is a soft control! An administrative one. So do the courts. Who learns the most from the mistakes that are made? Isn’t it the person or the people involved? This was put into perspective for me by another Apollo instructor at a conference in Indianapolis. He said to me “if someone makes a mistake for instance and the cost of that mistake might be say $500,000, and you are so angered by this that you then sack the person who made the mistake (quite possible, even probable)……it is like sending someone on a $500,000 training course and then sacking them the next day”. 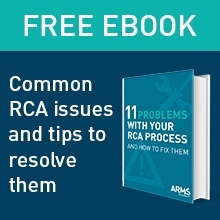 What have you learned from conducting an RCA? Do you have any successful tips or feedback woth sharing or discussing? We look forward to reading your feedback via comments below or let’s connect on our LinkedIn Group – ARMS Reliability – Apollo Root Cause Analysis for further discussion.